Luke Schenn is an unrestricted free agent after this season, therefore he’ll have a choice as to where he signs next season and his time in Los Angeles will more than likely be limited. As a member of the Philadelphia Flyers, Schenn’s $3,600,000 salary had a net value after taxes of $1,946,747. Since Schenn played half of the season in Philadelphia and will play the second half in Los Angeles, his salary and tax implications need to be prorated with his net value after taxes decreasing by $54,909 to $1,891,918. Vincent Lecavalier has said this will be his last season, as he is set to retire. Lecavalier’s salary this season is $4,500,000. Like Schenn’s, Lecavalier’s contract will be prorated. Prior to his trade, the net value of his salary, after tax was $2,427,792. After the trade, the value of the same contracted salary decreases to $2,359,156, a loss of $68,636. 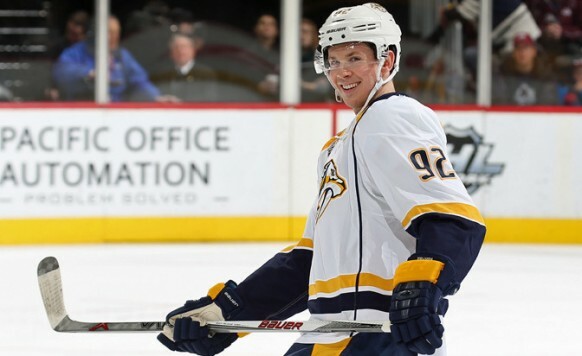 Ryan Johansen is the big winner of his trade deal, leaving the last place Columbus Blue Jackets to join the playoff contending Nashville Predators, who play in a state that does not collect a state income tax. By prorating Johansen’s salary and tax, Johansen benefits an extra $70,701 this season along with an additional $282,803 of his 2016 salary for a total net benefit of $353,503 over the term of his deal. Converting this into a gross amount the total increase in salary after the trade is an incredible $660,524. There were only five teams that would have been more financially beneficial; those being the Edmonton Oilers, Calgary Flames, Tampa Bay Lightning, Florida Panthers, and Dallas Stars. Seth Jones is a restricted free agent after this season and Columbus will have the right to match any contract offered to him. Should Jones sign this summer – and using Dougie Hamilton’s six year $34,500,000 with the Calgary Flames as a comparable benchmark, to determine the long term effect of Jones trade to Columbus. Should Jones sign with the Blue Jackets, he would continue to be subjected to both Ohio and Columbus resident income taxes, in addition to non-resident tax, or jock tax, while playing on the road. Therefore a $34,500,000 contract with an annual average value of $5,750,000 would net Jones after tax $15,386,616 for the six year term. That same contract with Nashville would have a true net value of $16,741,711 or $1,355,095 more. An interesting fact to consider is that Hamilton’s net take home is $17,377,287. In order for Jones to reach Hamilton’s net take home pay, the Blue Jackets would need to offer him the same six year deal for $38,963,500, or $4,463,500 more. Last week in the NHL serves as an illustration of the financial impact changing teams can have. Even though all of these players will receive their contracted salary for the remainder of the season, each will end up with unexpected amounts in their bank accounts. For Lecavalier and Scheen the price they pay in going from Philadelphia to Los Angles is relatively small if it means a potential Stanley Cup run. Seth Jones situation could be much more severe. Should Jones sign an extension with Columbus his true net value will be affected by the fact that he is in Columbus and not Nashville and as outlined above that could cost him over a million in lost net income. Where as the other three lose in their change in scenery, Ryan Johansen proves to be the big winner as it results in $622,419 additional funds to his bank account.